The Management of the Nigerian Ports Authority (NPA) has finally taken over the ownership of Agura Hotels, Abuja after a legal judgement was given in favour of the NPA against Fasel Services Limited, Omeire Pharmaceutical Manufacturing Industry Limited, Chief M.O. Kanu and Daniel Kanu. It would be recalled that in the year 2003, an Abuja Federal High Court upheld the NPA as the majority shareholders of Fasel Services Limited, a judgement which was registered with the Corporate Affairs Commission in 2017. 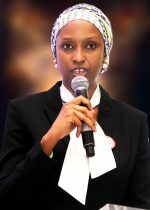 Arising from a board meeting of the hotel held on the 20th September 2017, the NPA Management stated it has assumed full control of the establishment with its Managing Director, Hadiza Bala Usman as Chairman while Chief Micheal Kayode Ajayi has been appointed as the interim General Manager of the hotel. The new Board of the Hotel pointed out that an approved forensic audit of the Hotel be carried out immediately while the head of finance of the Hotel steps down handing over all relevant financial instruments of the company to the newly appointed General Manager. In addition, the Board directed that all bank accounts hitherto operated be frozen while new accounts be opened to enable swift and continuous operation of the Hotel.